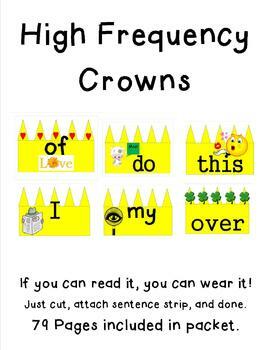 Sight Word Crowns that are Catchy! The Spy of I, the Eye of My, and more! 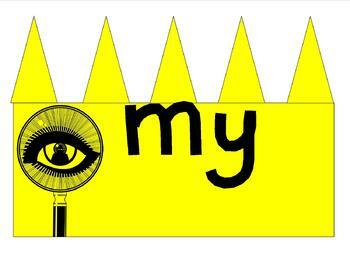 Children will love learning their high frequency words with a great incentive-----wearing a crown! If you can read it, you get to wear it! With the picture prompt on each crown, the children will be learning to read and write their word wall words in no time at all!!! You will not regret this purchase! 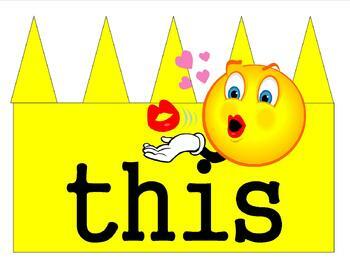 Cut them out, attach to a sentence strip, and you are D O N E!